Unique in its kind, this masterpiece of the Maison Marino Orlandi is ideal for any woman! 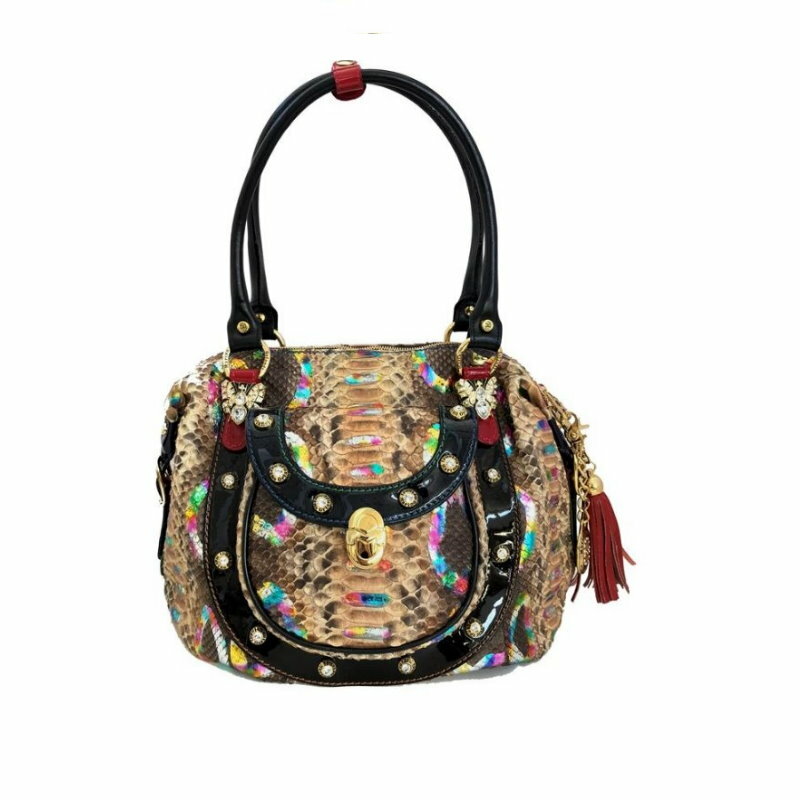 Thanks to the round handles and the precious rainbow python painted by hand and decorated with real Swarovski, the bag is the style icon of the modern woman. The vast size guarantees incredible practicality.